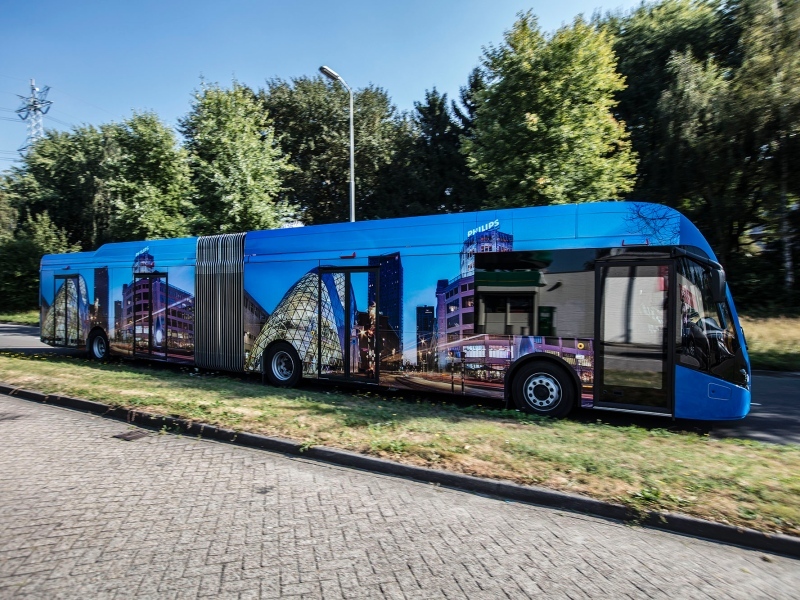 Today the public transport system of Eindhoven switched its 43 bussen entire to electric! With this Eindhoven becomes the first European city to do this 100%. The Hermes bus company had to restructure its functioning and train its 550 chauffers. Driving electric requires totally new routines. Bussen can drive 3 hours between charging but a watch out is needed to assure that drivers don’t start their routes with improperly charged vehicles and return in time before running out of energy. At AiREAS we hope to detect improvements in air quality and noises levels in town. Different theories go around about electric vehicles and pollution. What exactly the reality will show remains a question mark but with a fine maze measurement network in place we sure hope to be able to get some new insights over time that contribute to our healthy city objectives. This morning we were surpised with an unexpected peak of Ozone in the city center and our Strijp city quarter. In general, across town the O3 levels were high. But why? This Ozone behavior we expect in summer when the power of the sunlight causes ozone to develop out of other pollution. But in a cold winter morning? What could be the cause? Fine dust remained low.